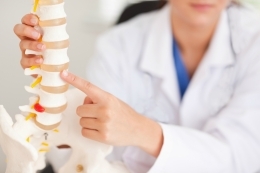 Osteopathy embraces an holistic approach to treatment. That means we treat you as a whole person rather than simply treating your individual symptoms. The body is a complex mechanism requiring all parts to work properly and together. A problem in one area can lead to aches and pains in muscles and joints elsewhere. Osteopaths use gentle stretching and manipulation techniques to restore the structure and function of the body back to normal. Your osteopath will apply gentle manipulation and stretching techniques to work your muscles, ligaments and joints. Occasionally some of the positions used may feel awkward or uncomfortable but therapy should never hurt. Acupuncture is a branch of traditional Chinese medicine that has been practised for thousands of years. It takes an holistic approach in that it is believed that the body works as a whole and any imbalances will lead to a pattern of disharmony and subsequently ill-health. It is said that acupuncture treatment works by re-balancing the flow of energy known as Qi (Chee) through a complex system of energy channels called meridians using very fine needles. An acupuncturist will conduct a detailed case history, asking questions about medical history, sleeping patterns, symptoms, appetite and digestion issues and the like. This is finished with an examination of the tongue and a check on the pulse before selecting points on the body to correct any imbalances. Then very fine single-use pre-sterilised needles are inserted into specific points on the body. How deep the needles go can vary and they will stay in your body for approximately 5 – 20 minutes. Needles may be placed in the immediate area of concern or at other locations where stimulation is required to effect an increase in energy elsewhere. Because the needles are so fine the treatment is actually quite painless. This is a how long is a piece of string question because it depends on severity of the condition being treated however on average for most patients we look at about six sessions, often less, occasionally more. However your therapist should be able to give you an approximate estimate during your initial session. Most appointments last 30 minutes although your initial consultation is likely to last a little longer than this. Can I bring a relative? Of course. We are happy for you to bring a friend or relative. Our express concern is that you feel comfortable whilst having treatment. Does my private medical cover me? We are covered by most of the leading private medical insurance companies. Please ask us directly if we are covered by yours but the likely answer is yes. Neither osteopathy or acupuncture should be painful. During osteopathy you may feel a little uncomfortable or awkward but treatment should never hurt. During acupuncture you may feel a certain tingling sensation but this isn’t unpleasant and most people find the sensation relaxing. It depends on the area being treated so but you may be asked to strip down to your underwear. If you feel uncomfortable with then please let us know and we will use our best endeavours to work around this. If this is not possible then we will let you know in advance. Your privacy and modesty is respected at all times and remember you are free to bring along a friend. Do you consult with my GP? Quite often a patient is referred to us by their GP in which case we will communicate with them as necessary or with any other health care professional involved with your treatment. It would be normal to inform your GP of the outcome of your treatment once you are discharged. However, you are entitled to the same level of confidentiality as you would expect from your GP so that any communication with them would only be carried out with your express approval. It takes time for the body to settle down and stabilise after treatment so we would normally treat you weekly. In severe situations we might increase this to twice weekly. Once your condition starts to improve then follow up treatment may be spaced further apart accordingly. No you don’t in short, most patients self refer. Whilst many GPs actively refer their patients to us no official referral is necessary. If you are claiming the cost of your treatment from private medical insurance then you might be asked to seek a GP’s referral initially so you should check with your insurance company first. Osteopathy is now fully recognised by the General Medical Council (GMC) and the British Medical Association (BMA). Yes, your osteopath will have undergone stringent and extensive training over four years which is followed up with regular ongoing training. Osteopaths are regulated by statute law to ensure they have the skills necessary to care for you in a safe and caring fashion. Can I expect after effects? It is is not uncommon to feel a little sore or stiff following a session of osteopathy however this is like to pass after 24 hours as the body settles back down. The feeling would be similar to one you would expect after exercising after a long period without any. Sometimes your osteopath will suggest a hot/cold pack to aid recuperation. After acupuncture you are likely to experience very few side effects if any at all. Cranial Osteopathy is a subtle type of osteopathic treatment that is extremely effective in treating a wide range of conditions in people of all ages. It uses very gentle manipulative pressure to encourage the release of physical stresses built up within the body, including the head. Cranial Osteopaths are trained to feel for involuntary motions within the normally subtle body rhythm and look to ease these out. The technique is particularly successful at soothing and relaxing your baby and is suitable for children at all stages of development. Can I have treatment if pregnant? Yes, absolutely. A great number of our patients are expectant mothers. Osteopathy is ideal for dealing with joint and muscular problems typically associated with pregnancy such as lower back and hip pain. It also successful in treating a variety of pregnancy related digestion problems too. Yes, our clinics have ample off road parking. Yes we do. We have close by disabled parking and wheel chair access.